Galatasaray have confirmed that they have terminated the contract of coach Frank Rijkaard by ‘mutual consent’ after suffering an embarrassing 4-2 defeat at home to mid-table Ankaragucu (i.e. Darius Vassell‘s former employers) at the weekend. The Turkish giants are currently ninth in the Super Lig table after eight games, already lying eight points adrift of leaders Bursaspor. 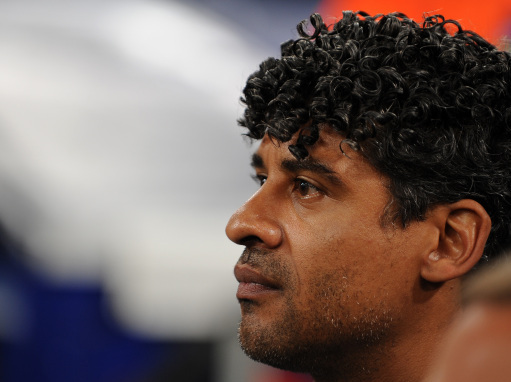 As Pies reported at the beginning of the week, there are whispers that new Liverpool owners NESV are keen on installing Rijkaard as the man to turn around the ailing side’s performances after a pretty disastrous start to the campaign under the stewardship of Roy Hodgson. Could it be that the fates are aligning for the New Yanks on the Block? Could be an option if Hodgson goes, let’s not forget just how much of the Barcelona side he put together is still there in Pep’s Barcelona. Could see Pellegrini there as well. This would be yet another disastrous move by Liverpool. They seem to have been making a series of bad decisions in recent years, which has led to their downfall. Just remember how Pep Guardiola converted Rijkard’s 2nd rate Barcelona team into the number 1 force in European football……without signining anybody new. What does this say about Rijkard’s managerial skills? Yes, he had some success at Barca early on, thanks to Ronaldhino, but this dissipated rapidly. His poor showing at Galatasaray shows that he is not good enough to be Liverpool manager. the big question here is this – what is his footballing philosophy ? they dont know what type of football they are playing or expected to play by the present manager Hodgson – who has no philosophy . WOW!! Are you guys that determined to get relegated from premiership? They won’t go down but i don’t think Liverpool will even be playing Europa league football next season. The rot has kicked in. he’s stubborn with his his 4-3-3 but i can see it working for liverpool.